Unusual shapes and interesting designs make color-changing Mirage beads a real conversation starter and a wonderful addition to the beader's palette for your moody designs. Some of our Mirage bead styles have detailed patterns and designs that make them fantastic focal beads for necklaces, bracelets and earrings. 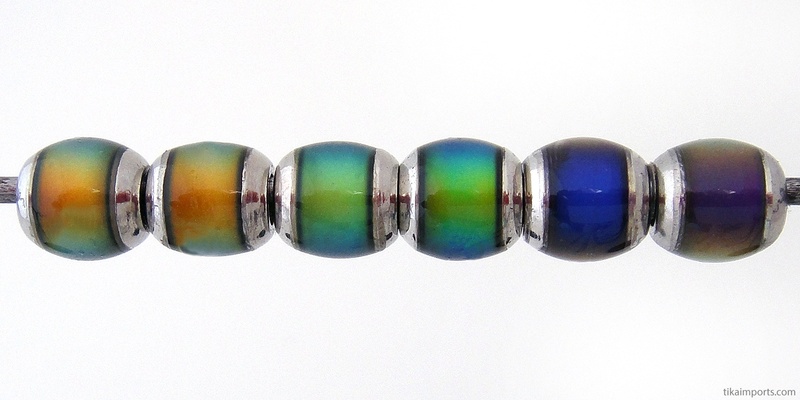 Mood beads are a fun design challenge, because they are always changing color. 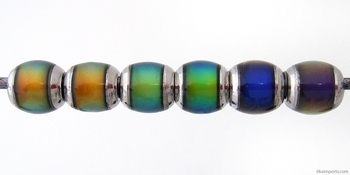 For a quick visual demonstration of how mood beads change color, watch our magical Mirage bead video.